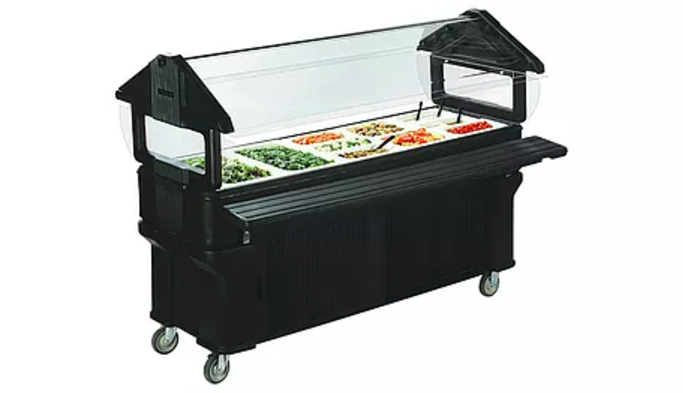 This is a portable salad bar. The tray is filled with ice and steam table pans are placed on top with the chilled product. This unit is NSF and can be used during a cafeteria renovation as easily as it can be used for an event. The clear sneeze guard keeps food safe and appetizing.